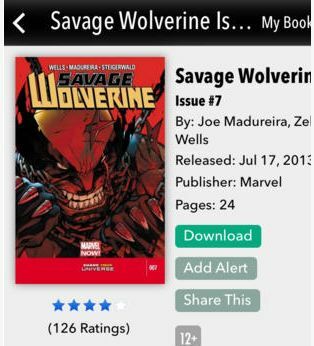 Comics By comiXology is a cool and innovative mobile application with which you can make your small, tiny mobile device a big comics library. Awesome, isn’t it?! The app has made a real revolution in reading comic books on tablets and smartphones and has been a really successful startup since its foundation in the year 2007. The ComiXology idea was born in the head of David Steinberger, who co-founded the company (with the same name) with John Roberts, and Peter Jaffe. His inspiration came from his participation in a Start-Up contest, organized by New York University and their business plan won the competition. This is how the idea received its seed funding and actually took off. The service is actually a huge cloud-based comics library, that makes it easier for anyone to find, buy and read his/her favorite comics online. The collection of titles is the biggest on The Internet and there you can find not only books from top publishers but also from some private authors. This helped the application to become one of the top 10 grossing iPad apps in the years 2011 and 2012. The business model is simple. Everything is in the cloud, currently, there are more than 75 000 titles available for reading. Around 700 are completely free and the others will cost you from a few cents per title to $20 dollars. The business has been really flourishing that it couldn’t stay unnoticed by the big sharks. In early 2014 (April 2014), the biggest online retailer – Amazon announced that it bought Comixology, which will take the app to the next level. It already has become the main way people read comics today, but its full potential hasn’t been reached yet. David Steinberger cached in big time and he is still the CEO of the company. The company has some more interesting services like – Pull List. It is a mobile application, with which you can locate physical comics stores and pre-order comics for pick up from them. This happens online and makes it really easy to find the required title if you need to check for it in many different stores. Pull List was launched December 2008 and the ComiXology application has the locator built in it. Retailer Tools – a bunch of some really innovative online solutions for making comics authors and publishers more popular online. comixology.com – this is a big comics portal, website and online shop with the largest collection of titles of comics books. On the video below you can see Steinberger explaining how failing at a business plan competition had helped him improve his business ideas and better implement them in real life. He will also share some thought about why having two business plans is in many cases better than having just one. Comics By ComiXology is currently available for iPad, iPhone, Android and Kindle and Windows 8.